In Part I of the story, Mole (from The Wind In The Willows) found himself in 1990s Britain - where he experienced a series of astonishing exchanges with the modern counterparts of Kenneth Grahame's familiar characters. 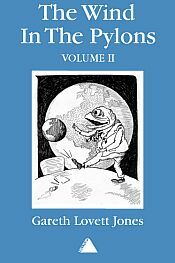 In Volume Two, we follow Mole's further adventures as he searches for the England he remembers – including the encounter with global capitalism which precedes the touching denouement of his story. Few targets escape the author's scathing eye in this ingenious novel, be they New Right politicians, modern planners, intensive farmers, or the architects of world trade. The Wind In The Pylons will have you chortling with laughter even as you are crying at the shame of it all.